In his fascinating exploration of a triple homicide case in Conroe, Texas, master filmmaker Werner Herzog (Cave of Forgotten Dreams, Grizzly Man) probes the human psyche to explore why people kill—and why a state kills. In intimate conversations with those involved, including 28-year-old death row inmate Michael Perry (scheduled to die within eight days of appearing on-screen), Herzog achieves what he describes as “a gaze into the abyss of the human soul.” Herzog’s inquiries also extend to the families of the victims and perpetrators as well as a state executioner and pastor who’ve been with death row prisoners as they’ve taken their final breaths. As he’s so often done before, Herzog’s investigation unveils layers of humanity, making an enlightening trip out of ominous territory. James E. Williams, Jr. is Public Defender for Orange and Chatham Counties in North Carolina where he has served since 1990. Prior to 1990 he was felony chief of the Mecklenburg County Public Defender’s Office. Mr. Williams graduated from Duke University with a Bachelor of Arts Degree in Political Science in 1973 and Duke University School of Law with a J.D. in 1979. In October 2010, the North Carolina Advocates for Justice established a Task Force on Racial and Ethnic Bias in the Criminal Justice System. Mr. Williams served as Chair of the Task Force. The work of the Task Force led to the establishment of the North Carolina Commission on Racial Disparities in the Criminal Justice System in September 2012. Mr. Williams is a member of the Board of Directors of the Commission. 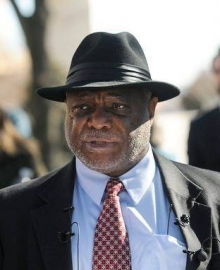 He also chairs the North Carolina Public Defenders’ Association Committee on Racial Equity and is a member of the North Carolina Chief Justice’s Commission on Professionalism. 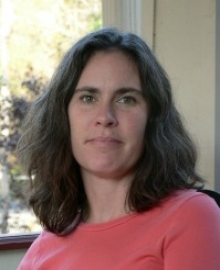 Kristin Collins joined CDPL as a writer and researcher in 2012. She previously served as executive director of Uniting NC, a non-profit that works to create a welcoming climate for immigrants. Before beginning her career in non-profits, Kristin worked as a newspaper reporter for The News & Observer in Raleigh. This film screening is a part of the 2015-2016 Rights! Camera! Action! Film Series co-sponsored by the Human Rights Archive, the Program in the Arts of the Moving Image, and “Mass Incarceration and the Carceral State,” a project supported by Humanities Writ Large.